Wed., 6 Nov. - Fri., 10 Jan. Thu., 7 Nov. - Wed., 8 Jan.
Fri., 30 Aug. - Mon., 16 Sep. Mon., 24 Jun. - Mon., 2 Sep.
Fri., 17 May - Mon., 9 Sep. Sun., 7 Jul. - Sun., 1 Sep. Sat., 14 Sep. - Sat., 21 Sep. Sun., 7 Jul. - Fri., 30 Aug. Thu., 11 Jul. - Thu., 15 Aug. Mon., 15 Jul. - Thu., 15 Aug.
Wed., 15 May - Mon., 9 Sep. Mon., 1 Jul. - Wed., 31 Jul. Sat., 27 Jul. - Sat., 10 Aug.
Wed., 15 May - Mon., 22 Jul. Mon., 15 Jul. - Fri., 16 Aug.
See all 621 properties in Vancouver Intl. 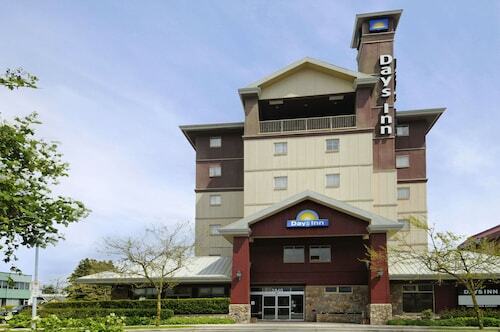 Rising from the Vancouver International Airport (YVR), this hotel is 4 km (2.5 mi) from the Richmond Centre Mall and 10 km (6.5 mi) from downtown Vancouver, accessible by the Canada Line Skytrain. 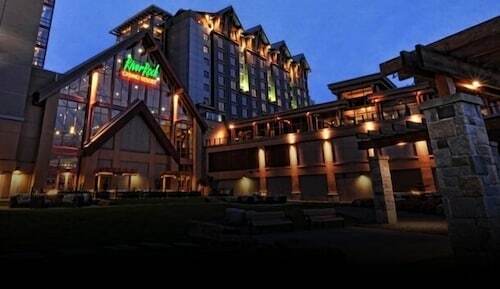 Located near the Vancouver International Airport, Downtown Vancouver, UBC, and McArthurGlen Outlet. 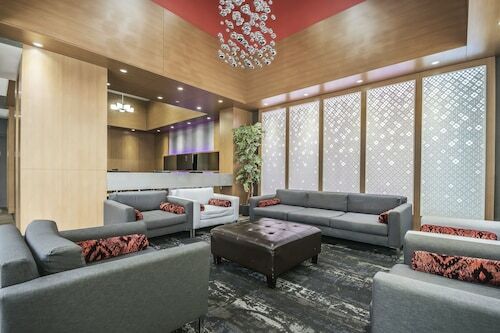 This property's on-call complimentary shuttle picks up and drops off at Vancouver International Airport during scheduled times. Located in Richmond City Centre, this spa hotel is within 1 mi (2 km) of Aberdeen Centre and Richmond Night Market. Richmond Centre Mall is 2.1 mi (3.5 km) away. Bridgeport Station is only a 2-minute walk and Aberdeen Station is 22 minutes. 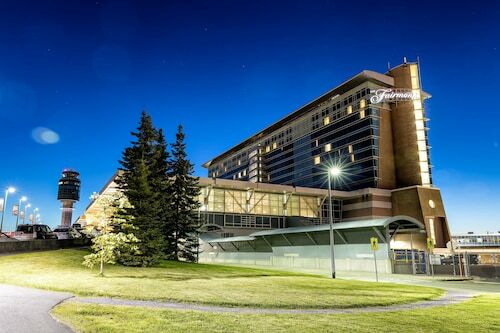 Located in Richmond City Centre, this eco-friendly hotel is within 1 mi (2 km) of Aberdeen Centre and Richmond Centre Mall. Richmond Night Market is 1.4 mi (2.2 km) away. Lansdowne Station is 15 minutes by foot and Aberdeen Station is 17 minutes. 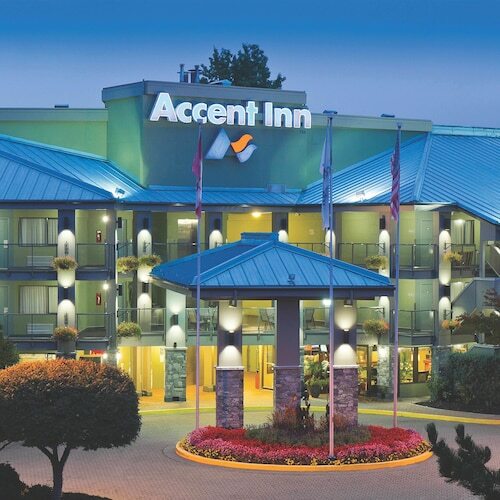 Located in Greater Vancouver A, this hotel is 1.5 mi (2.4 km) from Richmond Night Market and 2.7 mi (4.3 km) from Richmond Centre Mall. Richmond Nature Park and Aberdeen Centre are also within 2 mi (3 km). Bridgeport Station is 28 minutes by foot. Located in Greater Vancouver A, this hotel is within 9 mi (15 km) of Central Park, Granville Island Public Market, and BC Place Stadium. Vancouver Art Gallery and Canada Place are also within 9 mi (15 km). Bridgeport Station is 17 minutes by foot and Aberdeen Station is 30 minutes. 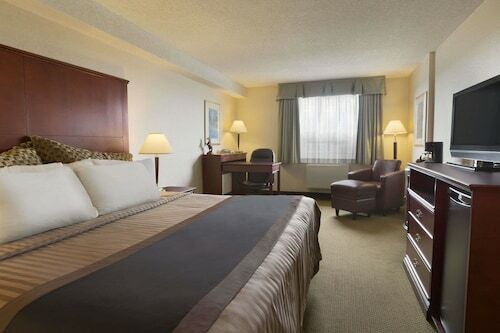 Located in Richmond City Centre, this hotel is within 1 mi (2 km) of Aberdeen Centre and Richmond Night Market. Richmond Centre Mall is 1.9 mi (3 km) away. Bridgeport Station is 7 minutes by foot and Aberdeen Station is 16 minutes. 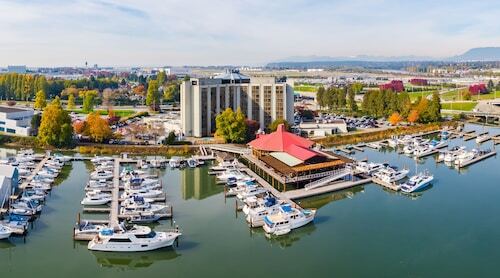 This smoke-free hotel is 2 miles from Vancouver International Airport, 7 miles from downtown Vancouver, and 8 miles from Stanley Park; historic Steveston is 10 minutes away. Question : What is the cheapest airline flying from Kiev to Vancouver? Answer : Air France is the leader in keeping prices low for passengers over the next three months. Fares are being booked at just $965 and, when compared to the more expensive bookings of $5,425, it's quite a deal. Answer : The cheapest day to fly from Kiev to Vancouver is on Thursday. So, if you want to save some cash on your next holiday look for flights on Thursday. Question : How much is a plane ticket to Vancouver (YVR) from Kiev (IEV)? Answer : Cost can range anywhere from $965 to $5,425, prices for IEV to YVR do fluctuate a lot more than most routes from Ukraine. Prices are usually cheaper the further out you book. Question : What is the cheapest date to fly to Vancouver? Answer : If you are needing to save, look at May 4th. As of Apr 15th, it's showing the cheapest ticket sales at $965. That is 50% below the average price for this route, so you can spend the savings on some souvenirs. Question : How much time do people spend in Vancouver? Answer : The average time spent hanging out in Vancouver by travellers from Kiev is 32 days. However long you decide to stay, give yourself plenty of time to see what makes Vancouver fantastic. Answer : Yes, you can change your departure or arrival date. If you want to save a little money in doing so, the cheapest day to fly in April is Thursday. You might think you're missing out taking off a day early, but we see it as just adding those savings towards a future trip.